Apr 8 Acro Conventions + Acroyoga Festivals: Why Should I Try One? Part 1 in my series on Acro Conventions + Acroyoga Festivals! What is an Acro Convention or Acroyoga Festival? Acro Conventions + Acroyoga Festivals are gatherings of acro enthusiasts and teachers, for anywhere from a single weekend for up to 2 weeks. The focus is warmups, classes, open training and additional shenanigans (dance parties, performances, meditation, outings, etc). Classes are always included in the price; food, housing and excursions are sometimes included. They can also be referred to as a train-cation or training holiday. NY Acro Fest in 2013 was my first Acro Festival. It was held at OM Factory and utilized some empty commercial space in the building. I was relatively new to acrobatics and saw people practicing tricks that completely opened up my mind to what is possible - You can do handstands on people! Back then, I didn’t know you could do handstands on people. 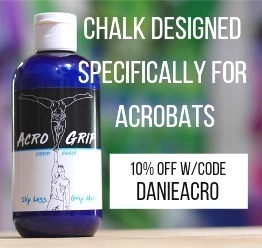 Why Should You Go To an Acro Convention or Acroyoga Festival? There's nothing like taking 3+ classes a day and being surrounded by enthusiastic acro practitioners to advance your leaning. Part of it is the contact hours - you basically get to do a month’s worth of acro in a few days - and part of it is being surrounded by knowledgeable people. Working with people at a higher experience level, even those who are not teachers, will help you work through current goals and learn new skill combinations. And Practice Makes Permanent. Teachers often travel to conventions to teach - so you'll get to learn different styles/techniques/tricks than your local teachers focus on. Often this means: New Washing Machines, Pops and Whips, Standing Acro, Icarian, Dutch Style, Sports Acro, Banquine or Platform, Swings, Trio Work, etc. Feeling a little bored with your usual acro routine? Choose class content outside of your current repertoire with the intention of bringing it home and expanding your movement vocabulary. Group Acro - Poses with 3 or more people- can be super fun, but requires a LOT of participants and spotters. Conventions are a great place to get a group together and build the 5-8 person pyramid with a wheel pose on top that you’ve been dreaming of. Or the 2 high banquine while still having enough competent people to spot! Acro Conventions and Acroyoga Festivals draw participants from a wide geographic area - they are worth traveling to. Acro People are Ridiculously Friendly and Open. You'll leave with friends from all over the region/country/world. Even if you’re shy, expect other people to reach out and say hello. It’s a sport that requires other people. Afterwards, connect on Social Media, ‘Like’ each other’s acro antics, Get Inspired and Stay in touch. 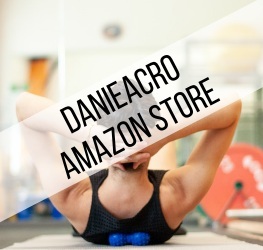 Visit other Acro Communities to train with your new friends. Did I Mention Conventions are RIDICULOUSLY fun? Yeah. I probably did. Some conventions have a minimum level of experience (ex. Must have 1 year of acro class participation) and others are open to beginners. It is helpful to bring a partner but not at all necessary. It’s always nice to work with someone with whom you have some familiarity of movement but not required. If a workshop has pre-requisites make sure you try them out together at the beforehand. I’m Convinced. How can I find out about Acro Events? Your local acroyoga community probably has a facebook page or group. Join that. Ask your local teachers or community regulars what events are happening in the general geographic area. Check the calendar resources listed below. I must admit - My list is a little geographically limited. I have only attended Acro Events in the US + Europe, and thus am missing ones in Central + Southern Americas, Africa + Asia. Please refer to the acro calendars below for broader resources! Acro SF - San Francisco, California. Mid March. NY Acro Fest - August - New York City. Acro Love World- 3 Events in the US. October in Oregon. New Years Eve in San Diego. 3rd event in DC. Acrobatic New Years - Wageningen, Netherlands. Dec 27- Jan 2. Dutch Convention - Netherlands. June. Usually includes Pre + Post Events. Isreal Acro Convention - In the desert outside Tel Aviv. May. Pre + Post Events. I’m teaching at the 2019 Event! Details here. Acroatia - Croatia- on a Lake. 1 week long. Camping + Floating Tree House. Swedish Acro Convention - Stockholm -Early November. Here are some other resources; There is no single comprehensive calendar or acro events, so I recommend checking both resources.